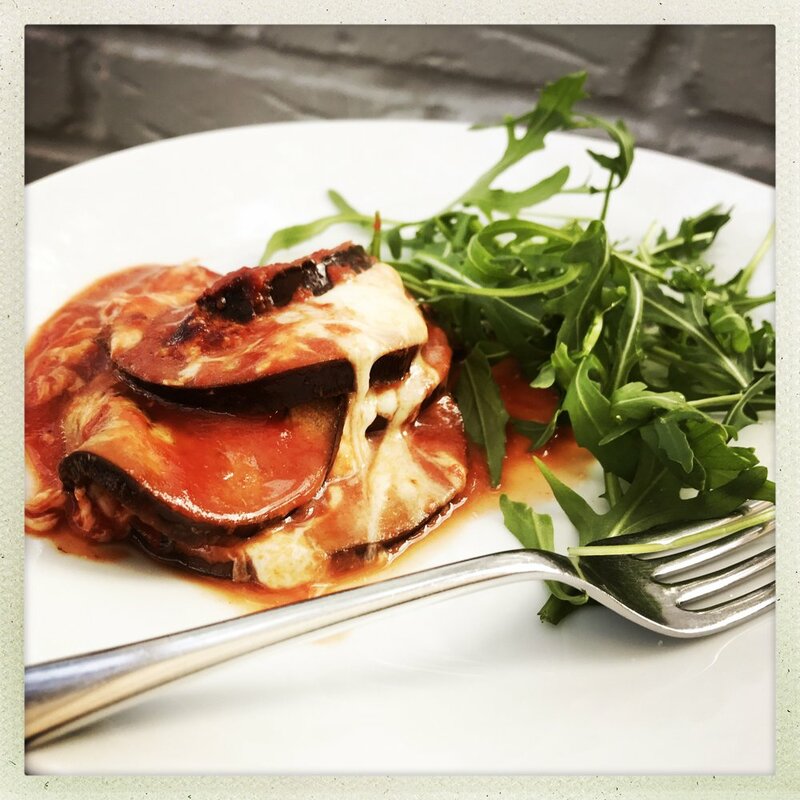 For a simple midweek, meat-free, light dinner, throw together this easy aubergine parmigiana recipe from Cirio. Ready in no time at all, just serve with a simple salad and side of crusty bread for mopping up the juices. Easy, low fuss and delicious. We use the Cirio Passata Napoletana for this dish, it just adds extra flavour without any extra effort, great for using in pasta sauce, bolognese or spreading onto pizza too. Wash the aubergines and cut them into slices of less than 1/2 cm thick. Grill the aubergine slices for 1-2 minutes each side. Place 300g of mozzarella cheese on a sheet of kitchen paper and cut into slices. Flavour the passata with a pinch of salt and some of extra virgin olive oil. Alternate layers of aubergines, tomato sauce, basil, mozzarella cheese and grated Parmesan cheese in a lightly oiled baking tray, finally topping with sauce and Parmesan cheese. Bake for about 20 minutes in a fan oven. 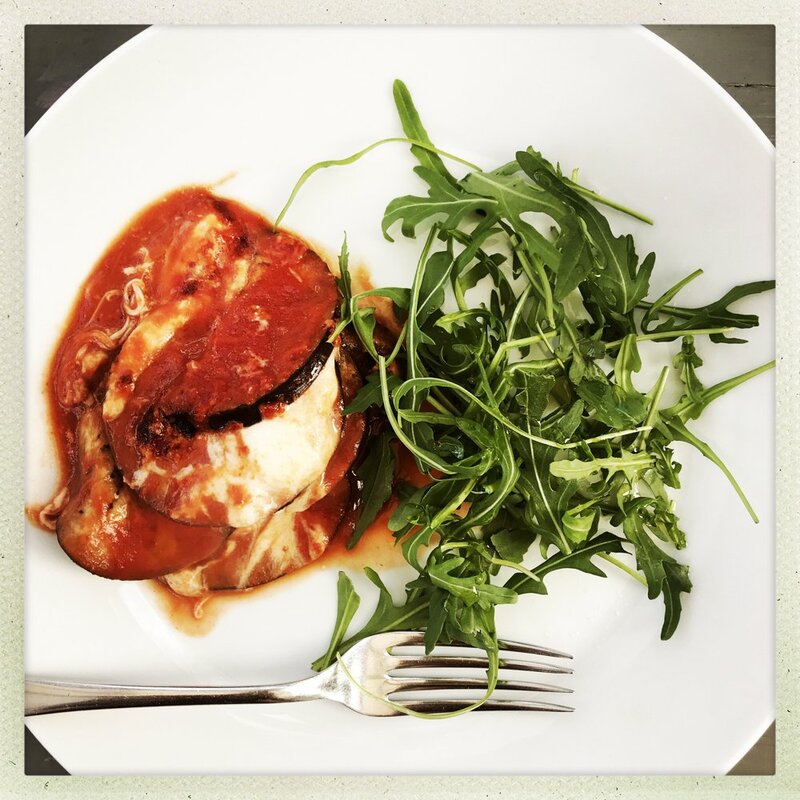 Delicious as a light midweek dinner with crusty bread and simple green salad. As a side dish with grilled chicken or fish. Disclosure – post in collaboration with Cirio, for full details of my disclosure policy please read here.